1. A pirate who steals, pillages, and acts generally badass for the purpose of obtaining pie. 2. A pirate who IS a pie. 3. The ever rising costs of pie. 4. 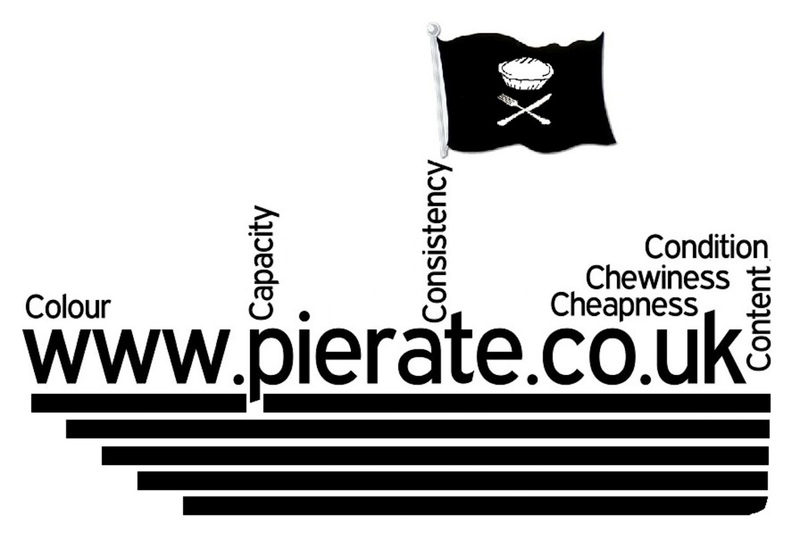 One (most often a pierate) who has eaten an entire pier, mistaking it for a pie. 5. A ratio, approximately 1.15, equal to that of pi and e.
No specific examples, though the more badass a person is, the more likely it is that they are, in fact, a pierate. Of course the exciting thing is we now have our very own Pierate Dictionary, which contains pie puns and our definition of a true pie. You can also contribute to it by leaving a comment on the page or tweeting us an entry @Pierateers!